“It appears that the perverted minds of the two Senior Divisional Officers was not satisfied till they had beaten Gopi to death which was only because the poor man could not meet their illegal demand of Rs.10, 000/-“, the Court said while upholding conviction of Police officers. The Delhi High Court has upheld the conviction of two Police officers in a 19 year old custodial death case. Justice Indermeet Kaur said that the police officers deserve no leniency even in the sentence of 10 years Rigorous imprisonment imposed on them by the Trial court. The Court however, acquitted one constable Ramesh Chand and a Doctor who was convicted for framing incorrect report. This case pertains to an incident happened 19 years ago. The prosecution version is that Satish Kumar Kadian and Inder Singh Rana, Sub Inspectors of Police, along with two other constables came to one Sudhesh Kumar’s house and started to beat himself and his uncle Gopi Ram. Both of them were later dragged to Police station where Gopi Ram was beaten using sticks and danda. He was later taken to Hospital and was found already dead. Dissatisfied with investigation in the case, the widow of Gopi Ram sought CBI investigation and CBI took over the case. 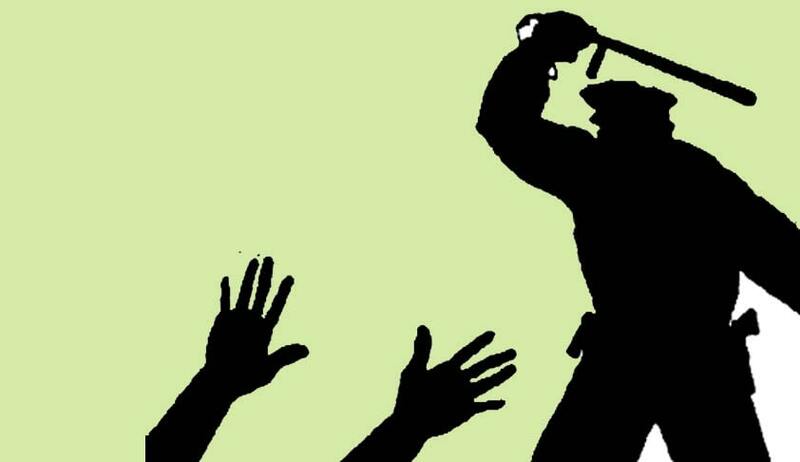 In 2012, the Trial court convicted all the accused policemen under sections 323/342/304/34 of the Indian Penal Code. Trial Court had relied on the testimony of brother of Gopi Ram (PW-8), who was a constable. PW-8 and PW-9 were the only persons who claimed they witnessed the incident. The Trial court had rejected PW-9 evidence since he was not subjected to cross-examination and as such his testimony cannot be read under Section 33 of the evidence Act. Interestingly the High Court said that evidence given by PW-8 is not reliable, not only because he is an interested witness, but also because of serious lacuna from his part. The court observed that his statement was recorded only after three years. But the High Court relied on the statement given by PW-9, which the Trial court had refused to read citing Section 33 of the Evidence Act. The Court said that proviso to Section 33 of the Evidence Act applies only when the evidence of a dead or unfound person has to be considered in the subsequent judicial proceedings and not in the same judicial proceedings. This is clear from the three conditions stipulated in the proviso whereas last condition specifically speaks of the first and second proceedings, the second condition also makes a reference to the first proceeding and the first condition as is evident would also apply to two sets of proceedings, the Court said. The Court said “On the scrutiny of the testimony of PW-9 which on applying the rule of care and caution and noting that PW-9 was not subjected to a cross-examination yet his version being clear and categorical and his complaint also having formed the basis of the FIR, both SI Inder Singh Rana, SI Satish Kumar Kadian cannot escape their fate.” The court however acquitted the Constable as the statement of PW-9 did not show any involvement of Ramesh Chand. Also added “It appears that the perverted minds of the two Senior Divisional Officers was not satisfied till they had beaten Gopi to death which was only because the poor man could not meet their illegal demand of Rs.10,000/-“. Refusing the plea of leniency to be shown to convicts, the court said the sentence is already on the lenient side.